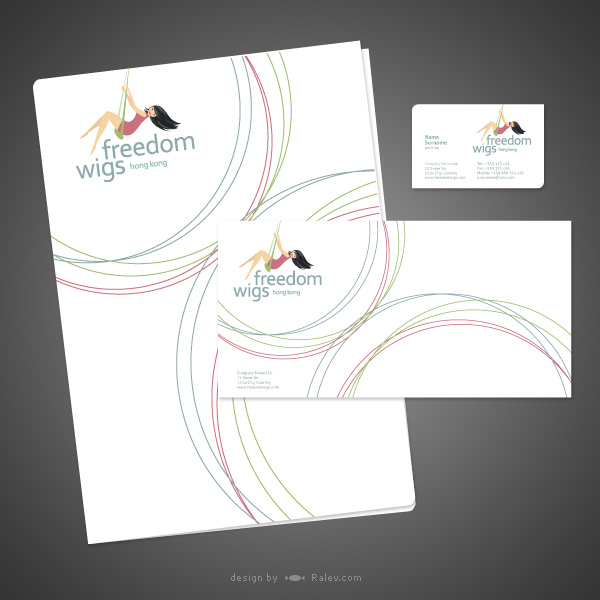 We were approached to work on stationery design for Freedom Wigs – a Hong Kong based company. The company’s main focus falls on creating custom made wigs for people with hair loss. Their wigs are created so that they can withstand swimming, driving a convertible etc. This is our design for a A4 folder, envelope and business card. In this design concept we used thin swirled lines that look like moving hair. We used these colors and style to make the design consistent with the logo of the company. You can find more information about the company’s work at freedomwigs.com.hk.